Here is an excerpt from an article by Gijs van Wulfen for The Leadership Network blog. Founded in 2010, it has since delivered business excellence training courses to more than 4,000 Directors and Senior Managers in companies such as Lego, Unilever, Coca Cola, and Nike. TLN was created by experts. Our training shows senior professionals how to create powerful strategies, manage change, and lead people to achieve excellence in any business. To learn more about it, please click here. The path to innovation excellence is by no means easy. Indeed it is a roadside littered with the carcasses of failed inventions. Take scientific research published by the Open University for example. Its findings are quite staggering. It recently revealed that for every 100 ideas submitted, only 21 are ever taken into development. So why do so few leaders succeed in understanding the esoteric ingredients of innovation? And how do you ensure that creativity is not just a quixotic project, but remains anchored to an evidenced-based effective innovation methodology? The FORTH innovation method which I created and have covered in previous blogs, provides structure to the chaotic nature of the start of any innovation programme. When I embark on an innovation expedition with enterprises, what I find most astonishing is how few leaders fully understand the present and future expectations of their customers. Listening to customers and conducting painstaking face-to-face research should be at the heart of any innovation programme. It’s something that Sam Walton, the founder of US supermarket chain, Walmart, understood only too well. And so I am starting this blog with one of his famous quotes. “The folks on the front line – the ones who actually talk to the customer – are the ones that actually know what’s going on out there,” said Walton. For Walton, it’s not data, technology or analytics that is the key to any innovation breakthrough. Instead, it’s the voice of the customer. And it highlights too that innovation can only take place when an enterprise knows its customer frictions. For example, if an enterprise wants a customer to buy its product, it must somehow convince the buyer to change his or her behaviour. If an enterprise has carried out face-to-face customer feedback surveys, it knows the customer frictions. And therefore, if the organisation innovates round the customer friction, the customer is much more likely to change his or her behaviour and buy the product when it hits the market. Curiously, in my role as facilitator, I see organisations championing an endless stream of expensive technology projects without ever bothering to investigate if there is actual customer demand for the technology. When implementing my Forth Innovation methodology, I always encourage the company to start “outside in’. In other words – firstly discover the relevant customer issues, and then come with solutions. US railroad and shipping magnate, Cornelius Vanderbilt, knew the value of asking “What if?” He didn’t just take counsel from the skilled engineers who built his ships and railways, but he was also prepared to listen and sometimes act on the ideas given to him by the ordinary man on the street. Why? Because he knew that when you try to innovate in your own market, there are many blind spots. Vanderbilt realised that an outsider looking in, who was not invested in the business, could often generate transformative and game changing ideas. 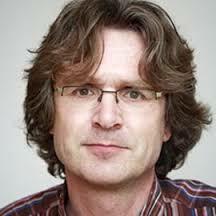 Gijs van Wulfen is a Dutch author and thought leader who specialises in innovation. He’s the founder of the FORTH innovation method, a proven structured way to ideate new products, services and business models. He is also a LinkedIn Influencer with 270, 000 followers worldwide. He has been chosen in the top 10 of the International Top 40 Innovation Bloggers three years in a row. For his recent book, The Innovation Expedition, Gijs van Wulfen set out to make a complex theme like innovation simple, so people within organisations could start to innovate effectively themselves. His style is direct, challenging, and humorous. His most recently published books are The Innovation Expedition: A Visual Toolkit to Start Innovation (BIS Publishers 2013) and, more recently, The Innovation Maze: Four Routes to a Successful New Business Case (also published by BIS 2016).